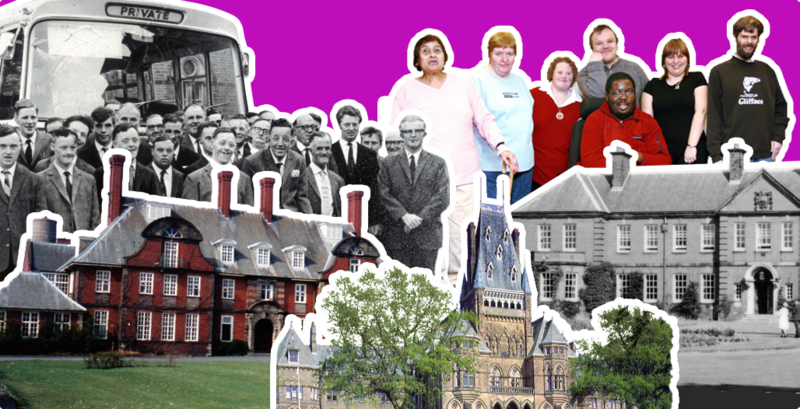 Lancashire Learning Disability Institutions is an oral history resource full of stories, memories, photographs and documents about those who lived, worked or had family members in long-stay NHS hospitals in Lancashire in North West England. Here you will find first hand accounts of life in institutions such as Brockhall, Calderstones and the Royal Albert. This website was launched in the summer of 2017 as part of a Heritage Lottery Fund project run by Pathways Associates. The project funding ended in April 2018. However, the website will carry on and be developed on a voluntary basis. This may mean that some things will take a little longer to do than we would like. Please be patient with us. Thank you.